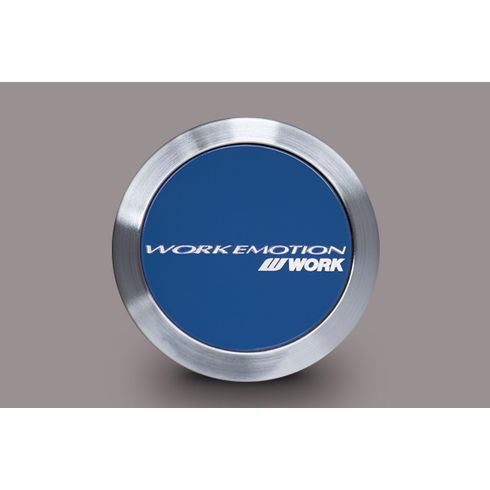 This is an optional centercap for the WORK Emotion series. It fits the T5R, M8R, T7R, D9R, CR Kiwami/Ultimate, 11R, XD9, XT7, and discontinued XC8 / 11R-FT (5x114.3). This cap will NOT fit the Emotion CR Kai. Sold as a single centercap (1 piece). Please note that the flat type may not clear users who have an axle nut that protrudes out further than the centercap opening of the wheel. 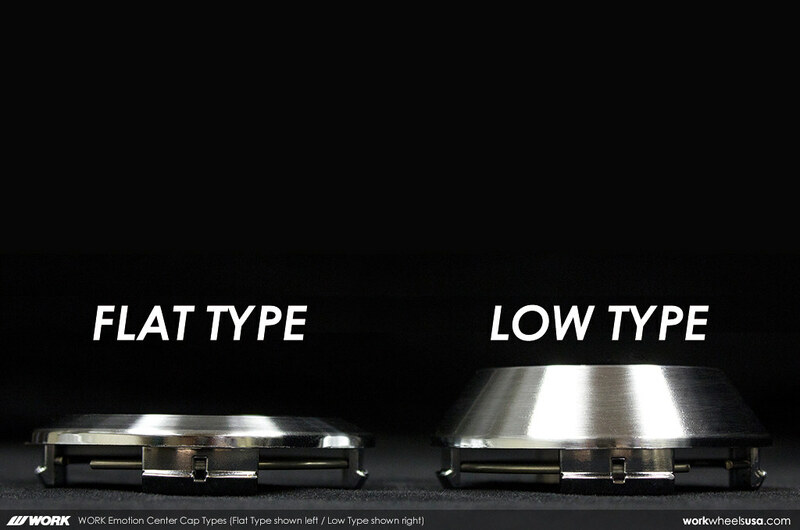 For additional clearance you would want to choose the low type. Also note that even with the low type cap, depending on the axle nut, it may not clear. If you are unsure, feel free to contact us for assistance.